This coming Sunday is Mother's Day. I thought I would share some gift ideas with you. 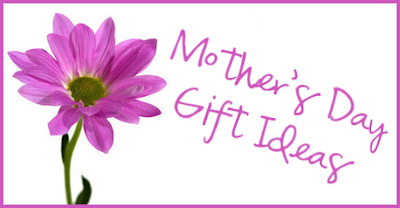 So if you're stumped on what to get your mom, maybe this will give you some inspiration. :) The best thing is that you can still do a lot of these things even if you are really far from home like I am! 1. Flowers. You can never go wrong with flowers! There is a reason they are such a tried-and-true gift. 3. A gift certificate to a spa. 4. Make her a playlist. It can be songs that remind you of her, her favorite songs, or a theme that will mean something to her. 7. Take her out to dinner. 9. Tickets to a show or concert. 10. Make a gift basket. You could give it a theme. A book by her favorite author, a bottle of bubble bath, a candle, and a bath pillow sends the message that you want her to take time to relax and calm down with a nice hot bubble bath. Those are just a few ideas. If you have some you want to share, please do!